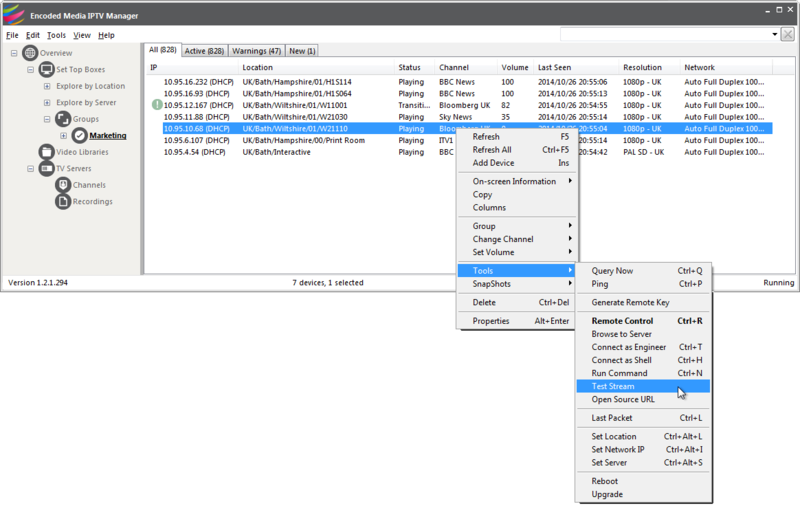 This article describes how IPTV Manager integrates with Encoded Media’s popular multicast testing tool, McTest. 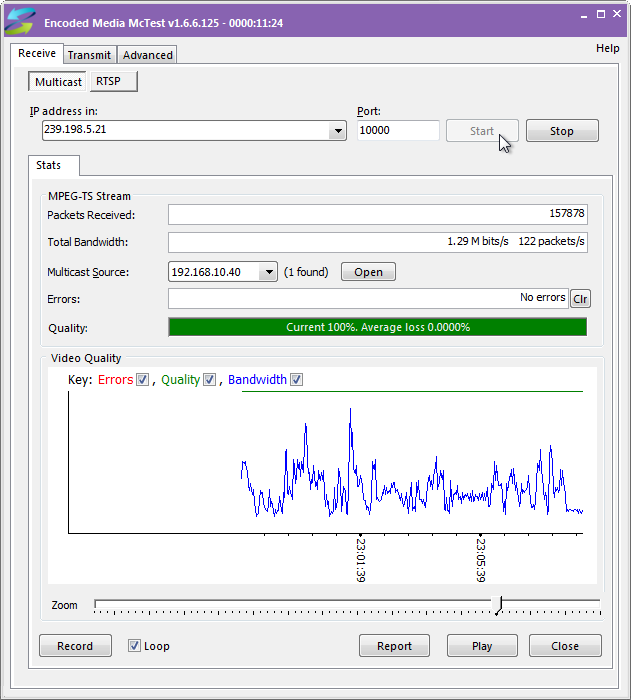 This tool enables network administrators to see a quality graph of any transmitted network streams. McTest will be launched and the stream analysed. What you’re hoping to see is that the green Quality bar in the centre of the screen reports 100%. Problems with the stream will be highlighted on the graph and in the Errors field. In the event you see errors, this is an indication that your network is either dropping packets or that the TV or satellite signal reception is poor (McTest monitors the MPEG-TS continuity counter and can see when source packets are missing).